This is a very important feast in Christendom and our Catholic church. 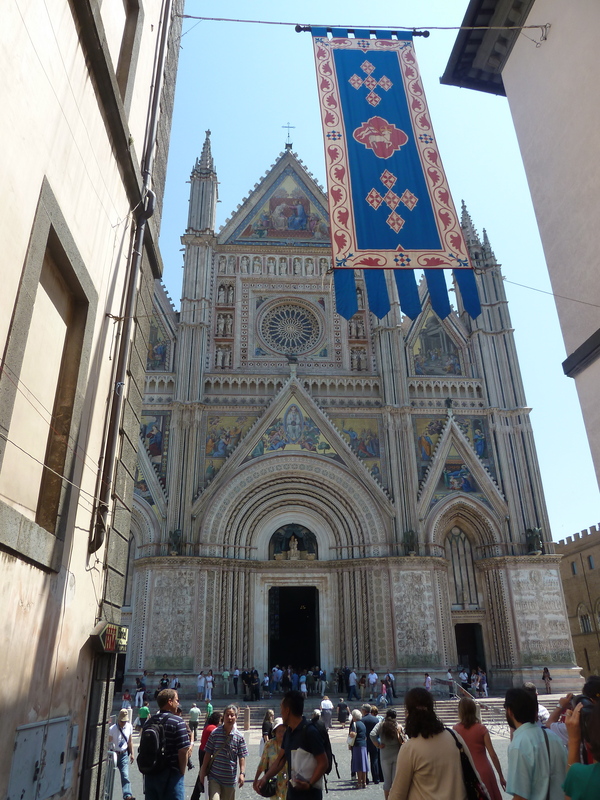 It’s a beautiful feast and last year we had the privilege of being in Orvietto for the famous Eucharistic Procession there at the Cathedral. Truly a once in a lifetime experience! This video is the classic chant for this feast, written by St. Thomas Aquinas, himself and simply uplifting and beautiful. 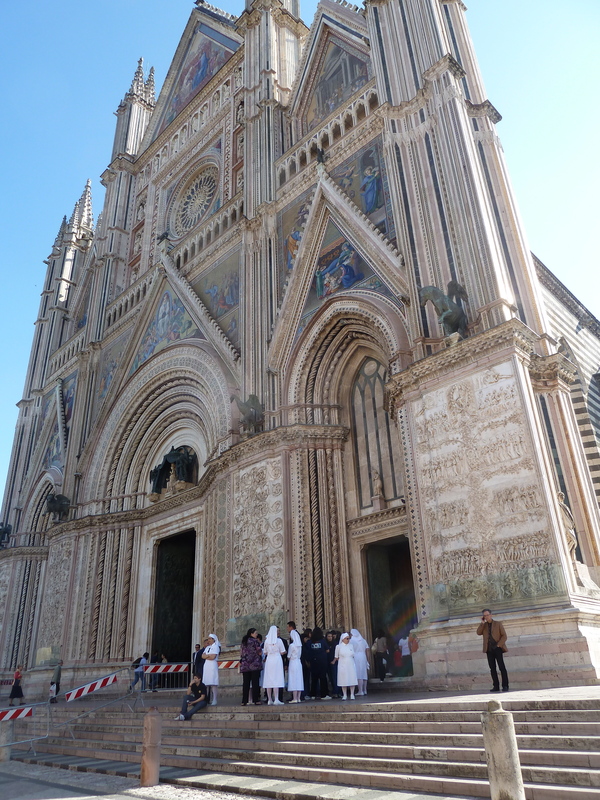 Enjoy while you scan the pics from Orvietto below…it’s almost like being there! And, just because this is another one of those “mysteries” that is all but impossible to wrap your mind around; it’s to be accepted and embraced by faith with heart and soul. You kind of open up the heart and eyes of your soul and then this song and this feast floods in. I totally believe it, even as I will never intellectually understand it fully. But that doesn’t matter……It’s all grace. And so very very good. 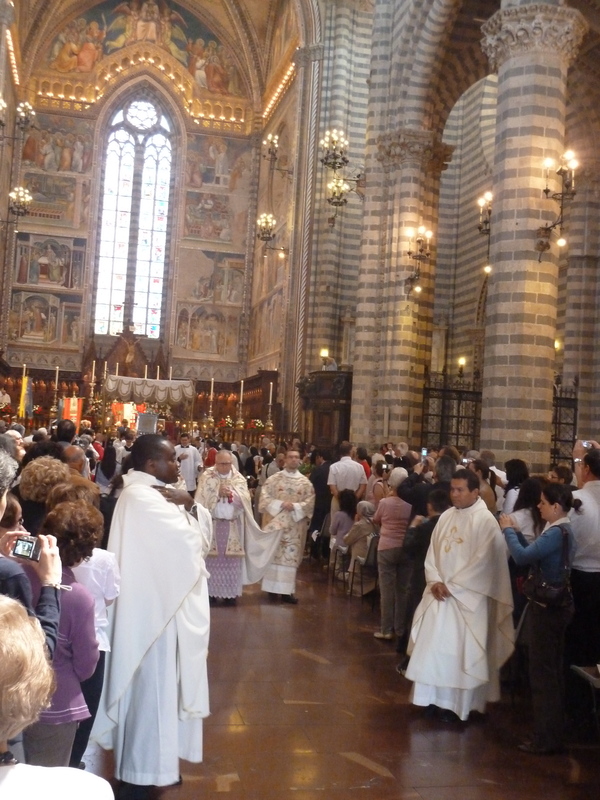 This entry was posted in catholic life, liturgical year, Uncategorized and tagged catholic feast, corpus christi, Orvietto, pange lingua by coffeemom. Bookmark the permalink. Wow the chant is beautiful. I can’t believe that it was only last year!